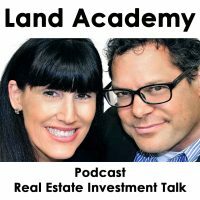 Steven Butala: Welcome to the Land Academy Show, entertaining real estate investment talk. I’m Steven Jack Butala. 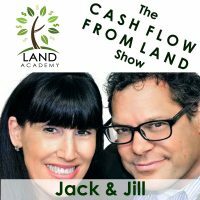 Steven Butala: Today Jill and I talk about choosing a property investment niche. Like what are some of the niches of right off the top of your head that you can think of? Jill DeWit: Land, houses, SFR, multi-tenant. And then if you want to get into land niches you might even deal with back tax, our tax lien properties. I don’t know, am I on the right path? Steven Butala: Yeah, you’re covering it. Jill DeWit: All right. What else you want? Steven Butala: Skyscrapers, mobile parks, mobile homes. Steven Butala: There’s a huge playground for grownups out there. Jill DeWit: Dead people niches. Seriously. Some of our members do that, that’s okay. Steven Butala: Before we get into this though, let’s take a question posted by one of our members on the land investors online community. It’s free. Steven Butala: You go first. Jill DeWit: I mean, there’s always a market. Steven Butala: There’s always a market. Jill DeWit: One of the things that I had to learn was to get out of my own head basically, and I used to look at property and I used to say, all right, who’s going to want that one? Because it didn’t appeal to me, I didn’t understand how it could appeal to somebody else. I couldn’t be more wrong. So first of all, I wouldn’t be afraid of it. Now would I have that only in my inventory? No, but I wouldn’t mind sprinkling a few in, and I know you’re going to say a lot of the same things… Just properly convey with that’s what it is, you know, make sure in your thing say, you know, if you want a hillside, no one’s going to bother you because I can’t get up there to your property, this is for you. Or you want a, you know, Luke Smith mountain climb hill property, then this is for you, kinda thing. Steven Butala: So every time we buy a piece of property that this product site, this niche actually, rural vacant land or inexpensive land, which is how we cut our teeth. We buy all different types of property now, but every single time I go onto youtube on our channel and I post it. I do a whole kind of like, I don’t know, two to three minute introduction. We go into google or look, take a look at the property and look at what the mountains and things like that. And by leaps and bounds it generates a tremendous amount of comments. They range from wow, I never knew that you could buy 40 acre property for five grand, to this guy is the biggest idiot, meaning me. And the property, there’s nothing out there and who would ever want to live out there or move out there and this is a joke. Jill DeWit: Which is hilarious. Steven Butala: And it cracks me up. Steven Butala: It cracks me up because Jill, you have a bunch of sayings on this topic, like you know, then it’s just not for you. Maybe you like Volkswagens or maybe you like a Rolls Royce. I don’t know. There’s a place for both of those in this world. Jill DeWit: Just because you want to live downtown New York in a high rise skyscraper on the 35th floor doesn’t mean everybody does. Steven Butala: I don’t want to live in New York and I don’t want to live in a multi-tenant building at the top of it just because I am proud of myself. Jill DeWit: I got to tell you something funny. Jill DeWit: I had a discussion with kid number one the other day, who currently lives out of state, we’ll just say. Steven Butala: Out of our state. Jill DeWit: We were talking about Seattle and she was saying, “Mom, I don’t see you there.” Because you and I have talked about the different places we want to be in how ever many years, short term, long term, whatever, and Seattle’s popped up because one of the reasons is no state income tax. How great is that? Steven Butala: She doesn’t want us there. Steven Butala: Works both ways. Jill DeWit: There is some rain. There still is some rain there even though people say that right now it’s really hot and muggy and whatever. But she’s like, “Mom, it’s different.” I do love the beach. Steven Butala: Yeah, to each his own. Jill DeWit: Yeah, and some people would hate the way we live. Jill DeWit: And I respect that. Steven Butala: So do I. YouTube is packed, packed with people who do YouTube regular episodes of their lives living off the grid in the middle of the desert. And you know who watches that stuff? Not other people that are in that situation. There are people who can’t stand their life in a big city and they long for… we sell property to people like this all the time, they long for an off the grid, no mortgage, super, super low cost, so they can get back their time. Steven Butala: So even finding this, we buy a lot of property for people who plan to do this and they just never did it. Steven Butala: And it’s sad because you should do what you want in life. Jill DeWit: I agree. I’m doing that. There’s no shortage of that here. Steven Butala: Jill wasn’t real thrilled about turning the cameras on this morning, but outside of that, I think you’re pretty doing what you want. Jill DeWit: Yeah. Only because of last night, but we won’t go there. Steven Butala: Oh the truth comes out. Steven Butala: Usually I’m in that situation. Jill DeWit: Right? I’m popping Ibuprofen before the show, this is pretty darn funny. Steven Butala: Today’s topic, choosing a property investment niche. Jill reeled off a ton of them. This is the meat of the show, by the way. Jill reeled off a ton of them just now. I’m going to start with this one. The one that the show’s all about. Land. But inside of that, there’s what, four or five, 10 different niches there. Jill DeWit: Oh within land? A lot. Steven Butala: Yeah, there’s rural vacant land, super rural vacant land, cash only. There’s infill lots. My personal favorite, you know, if you drive down a street, there’s a vacant lot between the two houses, that. Urban subdivisions, which we’re going through right now on a deal, we’re buying a property that’s a house, again, you’ve driven down a neighborhood, you see a house with a ton of land on it and then you see houses that have little lots, like somebody subdivided and built the houses in the 50s, 60s, 70s. There’s fortunes to be made and five to 12 unit subdivisions, you know, urban little subdivisions lots. Jill DeWit: Even turning one into two. Steven Butala: Yeah. We’re doing that right now too. What else with land? There’s all kinds of, there’s a concept in land called highest and best use. So when you look at a piece of property, did you ever see like a church where it shouldn’t be, like in an industrial zone? Here’s why. Churches are not subject, this is a universal, not subject to zoning. So if you donate a piece of property through church, let’s say for sake of argument, I’m not picking, you donate property to the Catholic church. I only say this because the Catholic church is the single largest land owner in the world and it’s because people donate when before they die, or after they die. They donate property to the church. So they can put a church, any nonprofit, worship based, I’m not sure the exact language, can put a church anywhere they want. They can put it in a heavy industrial zone. They can put it in a neighborhood. They can put it the swankiest neighborhood around. Jill DeWit: Are they subjected… I know they get tax breaks. Steven Butala: No, it’s tax free. Jill DeWit: It’s tax free. Steven Butala: As a nonprofit, the property taxes go away. Jill DeWit: Hi. Welcome to Land Academy Church. Today we happen to be broadcasting from our church on the beach, could you imagine. Church of Land Academy. Steven Butala: The cult of Land Academy. Jill DeWit: Wow, what a concept. There’s your niche. We’re going to make one. We’re going to sell property to people who want it. Steven Butala: That’s a topic for another time, I’m going to write that down. Jill DeWit: Church niche. Well, I have something to share when you’re ready. Steven Butala: Absolutely, go ahead. Jill DeWit: So within land itself, like Steven was talking about, there’s all these property types. From the rural to the infill lots, to mountainside, flat, heavily treed, cabin property, desert motorcycle property, whatever you wanna call it. Jill DeWit: Recreation property, RV property, mobile property, tiny house property out there, can roll something up on it. I mean there’s all these different little niches within the land category. Well then you also have niches of the transaction if you will, like maybe you’re not, some of it, like how you buy it. Do you specialize in going to auctions to buy your property? Steven Butala: Back tax property. Jill DeWit: Right. Then there’s the ones I was just kind of joking to you. But like, there’s a lot of people out there that have trouble transferring their property because of deed problems, deed restrictions, somebody passed on, whatever. There could be a whole niche right there too, without boring everyone. So I can see you switching the camera. So you’re trying to keep it less boring. Jill DeWit: So I’m trying to think, help me here. What are some of the other, I’m trying to think from like our members to. What are some of the niches they’ve got into? Oh, property size too. Steven Butala: So what happens is this, when you send a lot of letters out, you get all kinds of responses from people in different situations. This is what Jill’s referring to. I’ll take it a couple steps back here. Steven Butala: And a lot of their response that you get are from people who have inherited property, they don’t want it, and the parents, for whatever reason, when they’re working out their estate before they passed, it just didn’t get included or it’s still in the parent’s name, so there’s a lot of legal issues that need to be worked out in. And that can be a total niche. There are several people in our group who have chosen that niche because they think that way. I don’t think that way. I’m all numbers and data, but they think like lawyers or they are lawyers. And they figure it all out and that’s become their niche, because there’s just tons. We have a database of, I don’t know, for us to do 15 thousand deals we review three times that. And so there’s from the 15 thousand or almost 16 thousand deals that we’ve done, there’s probably 20 thousand more that we passed on for this very reason. So you know, if you want to specialize in undoing this, all it takes is an understanding of the system. It’s not that hard and it’s not that expensive, but it’s very time consuming and it’s very meticulous. You have to literally file lawsuits. It’s not the kind of lawsuit you think where you think somebody did something wrong. There’s just a legal process through the court system that you have to go through. It’s not even that complicated. It’s just very meticulous. That’s not my thing. Jill DeWit: Once you learn how to do one, it’s great because once you learn how to do one and you realize no one else is doing this, and you have the talent and you like it, or whatever it is, it’s profitable to you. There is your niche. Steven Butala: Here’s another niche, Jill and I are going through this right now, we’re buying two houses from a woman who’s mother passed. And she’s never paid the property taxes for 10 years. They’re both fore closable. Fortunately they’re in Arizona, so they have not been foreclosed on yet, but the tax liens have been purchased and it’s beyond the scope of us right now, but we’re undoing it for her. And there’s enough margin in both of these deals for it to make a lot of sense for us. But the people who own the tax liens on these properties are in different counties. They could foreclose on that right now. I mean that’s what this is. That’s what this is all about. You could make a whole, people make whole careers in one state, Arizona Tax Liens. It’s a book by Mark Manoil, that I have read maybe 40 times. Tax liens aren’t really my basic thing either because you have to go out and do stuff versus sending mail out and it comes back to you. So every day you’re just looking at deals and buying them instead of going out and seeking these deals and going through huge databases to see what you want to buy. So beyond that, I mean, it’s endless. Jill DeWit: Exactly. For my last comment on this, and I promise this will be my last comment on this. Steven Butala: No, it’s okay. Jill DeWit: What I find so interesting is usually you might think that you have a niche, usually your niche will find you. It’s usually not the other way around. Or let me say it’s easiest if you let your niche find you. If you’re hell bent on, I’m going to be the infill lot in LA County king, I mean, you can, go for it. But usually it’s, and if you’re willing to overcome every obstacle and every legal thing that you come up against, you can do that. But usually I find the easiest still is have an open mind, when the mail comes in and you’re going through your deals and often you’ll find some area that no one else is really in. And you get it, and that’s how your niche find you. Steven Butala: I’m going to share my story because we have a couple of minutes. Steven Butala: I started in commercial real estate in Michigan during the RTC, Resolution Trust Corporation, bail out during the Reagan years. And so times were tough. Commercial real estate was a mess countrywide because of some rogue lending. Always seems to be rogue lending at root of these problems, but the trade itself is a mess. Still a mess. And may never be not a mess in my opinion, but. So it was a double whammy. I had to choose a specialization that was thriving. So I chose healthcare. And we were buying and selling hospitals and nursing homes and assisted living facilities. And I hated it. I got a great job out west, fortunately, from a company that we took public. And that was my niche. I thought that was it. And I’ll tell ya, first land deal I did, I could not get out of healthcare fast enough. So many regulations and it’s complicated. So my point in telling you this silly story is that, you know, and now we’re onto other stuff, we’re doing subdivisions… my point is you don’t have to just choose one. But if you don’t like the first one or even the first 10, it’s a free country. Jill DeWit: It’s your business. Steven Butala: I don’t like going vertical. I don’t like new construction, takes too long. I love buying property, right now we’re primarily doing it with land and houses, doing almost nothing to it. Jill DeWit: Not even sweeping. Steven Butala: Don’t even sweep the floor. And just mark it up and resell it through a different channel. We buy it through off market channels, through direct mail, and we resell it in the house situation right on the MLS. Jill DeWit: I need more than six percent. That’s why we do it our way. Steven Butala: Why give it to the realtor, that’s what I say. That’s silly. Steven Butala: [inaudible 00:15:18], you spent another 15 minutes or so listening to the Land Academy show. Join us next time where we discuss building your real estate team. Jill DeWit: And we answer your questions posted on our free online community found on landinvestors.com. Steven Butala: There are so many niches that I don’t like. It’s actually easier to list the ones that you don’t like and then the ones that are leftover. Like commercial real estate is just not my thing and there’s probably people that would so disagree with me on that. You know, my dad did three commercial real estate deals and just got crazy rich. Steven Butala: Geez, what a mess there. Jill DeWit: It’s okay, I promise. Steven Butala: You know, we’ve been having a good time up until now. I just wrecked my own good time. Jill DeWit: You have apparently the commercial property weight of the world on your shoulders. That’s what the sigh was, for everyone out there in commercial property, we feel your pain. That was good. Share the fun by subscribing on Itunes or wherever you’re listening, and while you’re at it, rate us there. We are Steve and Jill.